Mad Max on VHS. Starring Mel Gibson, Joanne Samuel, Hugh Keays-Byrne. With Steve Bisley, Tim Burns. Directed by George Miller. 1979. 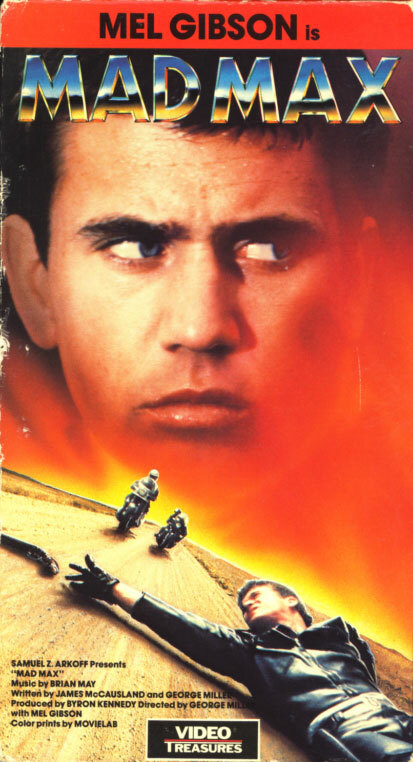 Mel Gibson introduces the character of Max in this full-speed futuristic epic, a bleak, decaying landscape of the post-nuclear future that continues in “The Road Warrior.” MAD MAX is the dark vision of this stark future, a high-speed, high-intensity film that became an instant cult classic. 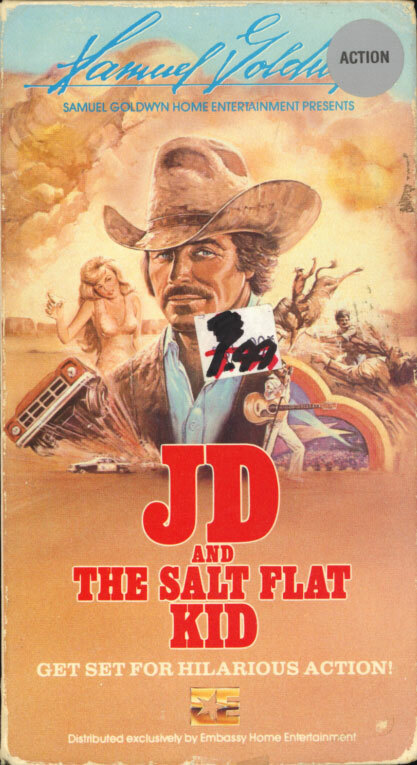 JD and the Salt Flat Kid aka Smokey and the Good Time Outlaws on VHS. Starring Jesse Turner, Dennis Fimple, Slim Pickens. With Mickey Gilley, Gailard Sartain, Hope Summers, Marcie Barkin. Directed by Alexander Grasshoff. 1978. JD is a handsome and talented singer with a burning ambition to become famous, but the road to stardom isn’t easy. First, he’s got to find a way out of Texas. That becomes a whole lot easier when he’s fired from his job. Then, he’s got to get to Nashville. That isn’t so hard to do when he and his partner, the Salt Flat Kid, meet two beautiful girls along the way. Finally, he’s got to get a break. Now that’s not easy, but JD and his friends are ready, and the result is a hilarious adventure down a non-stop highway of quick cars, speeding romance and fast times! 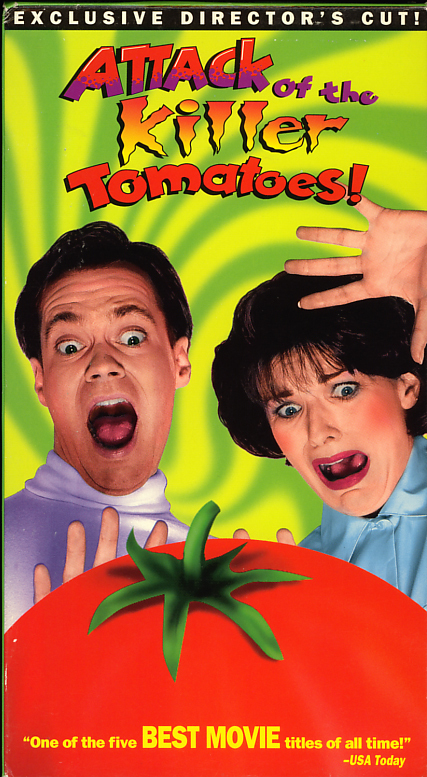 Attack of the Killer Tomatoes on VHS. Staring David Miller, George Wilson and Sharon Taylor. Directed by John DeBello. …garden variety tomatoes take on mammoth proportions and crabby dispositions, and begin attacking innocent people! Special Investigator Mason Dixon heads a… special investigation in an effort to save the world from total tomatofication.